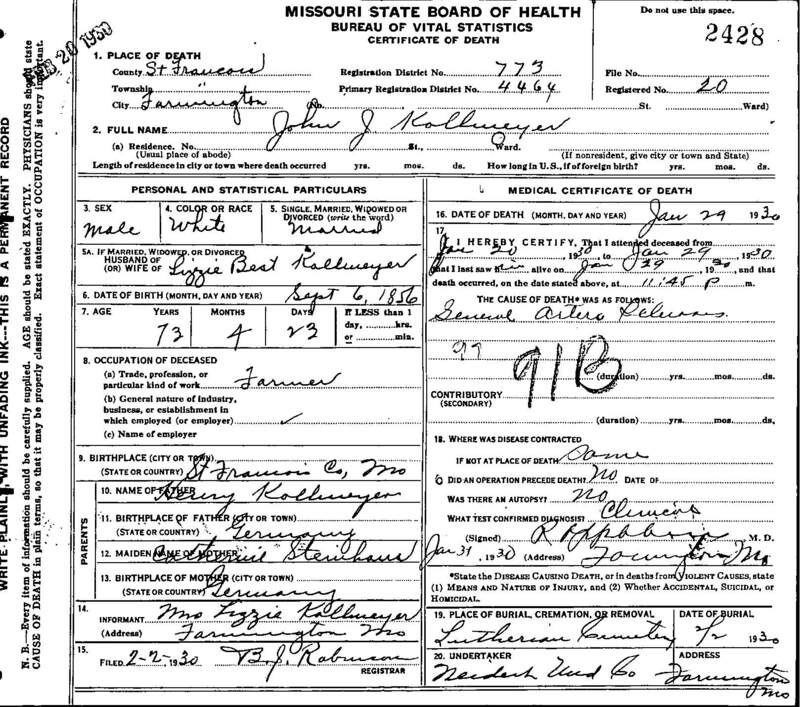 "Death Record - John Jacob Kollmeyer"
Death location: 601 South Jefferson Street, Farmington, St. Francois County, Missouri. The parents of John Jacob Kollmeyer came from Bielefeld, Prussia (former German Empire) in 1850. In those days the husband sometimes took the family surname of the wife. In other words, the parents of John Jacob Kollmeyer had switched family surnames between each other.